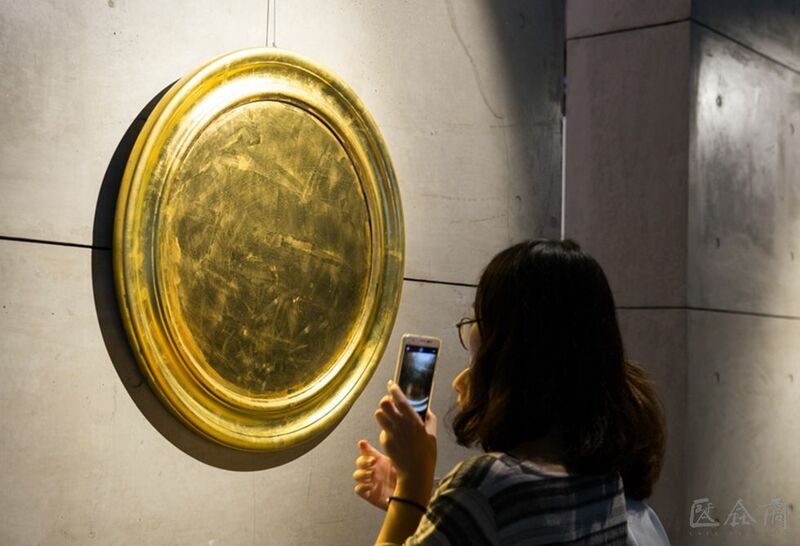 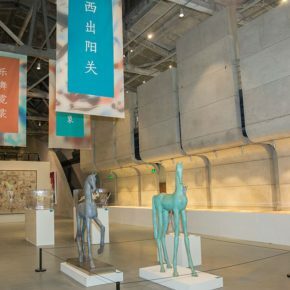 On October 18, 2016, Ceramic Art Week was unveiled in the Ceramic Art Avenue, Jingdezhen, Jiangxi. 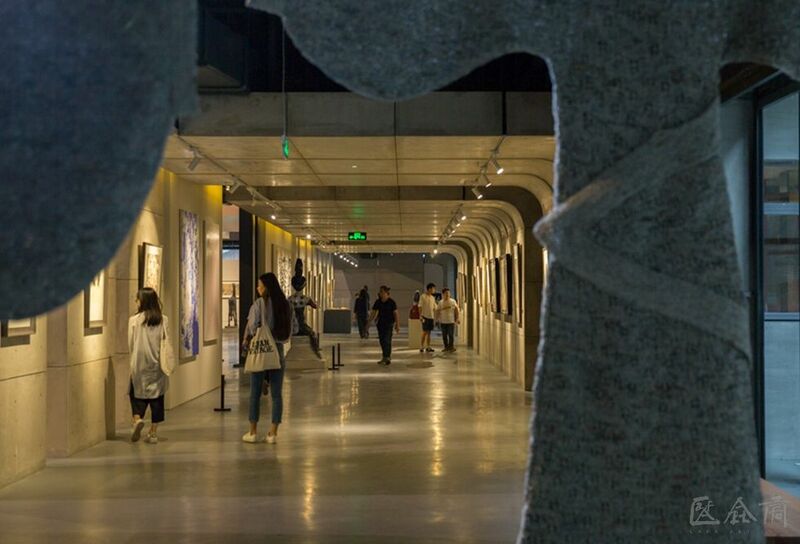 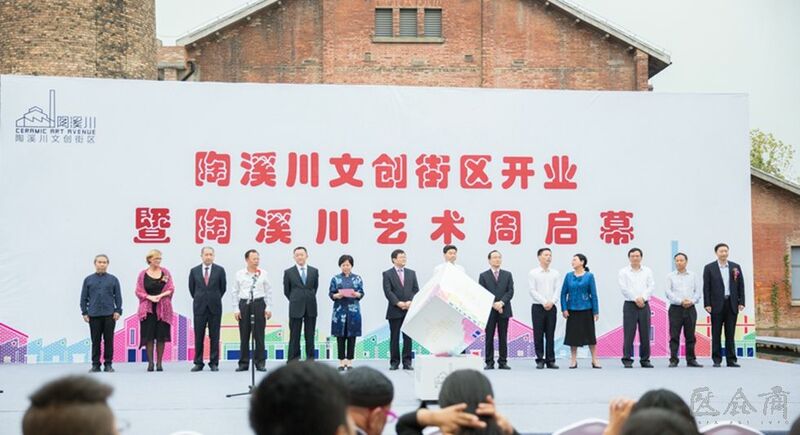 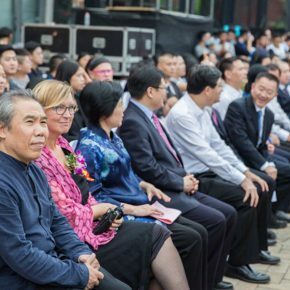 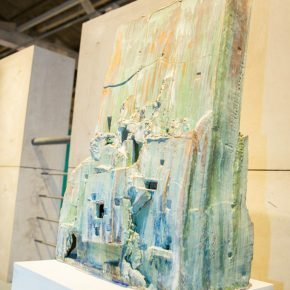 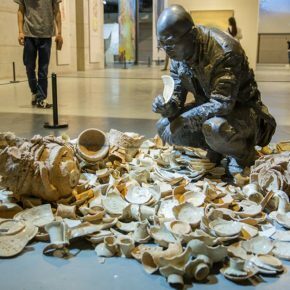 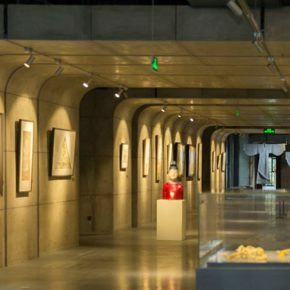 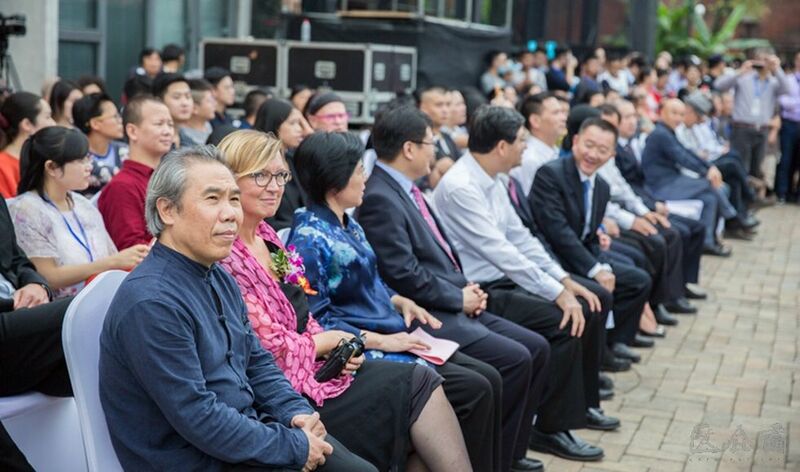 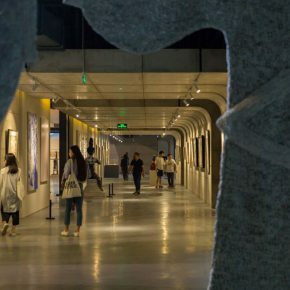 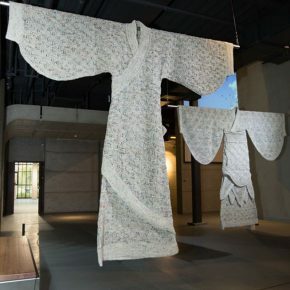 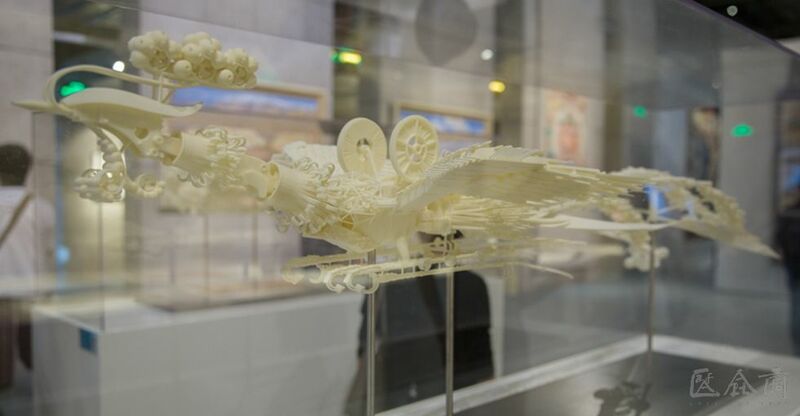 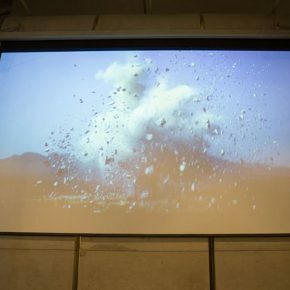 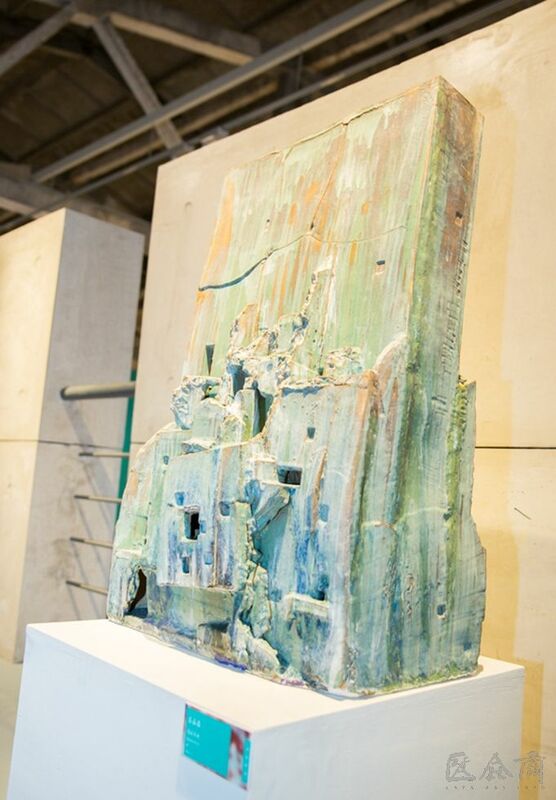 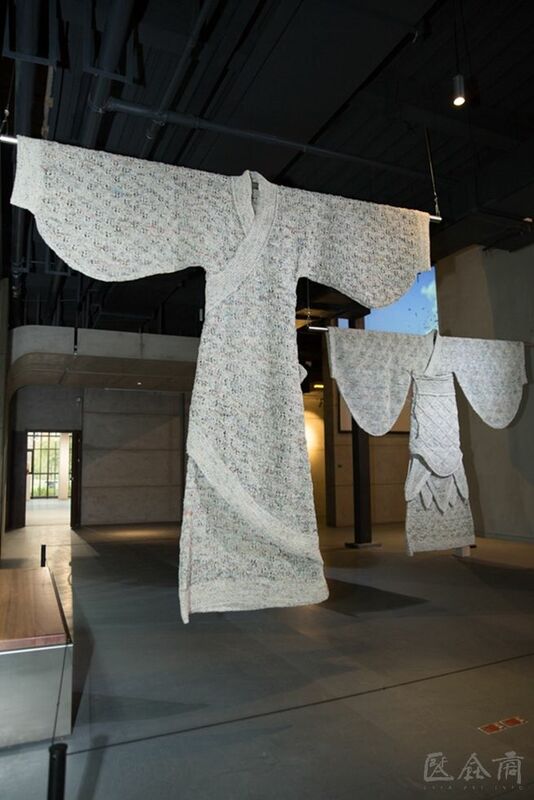 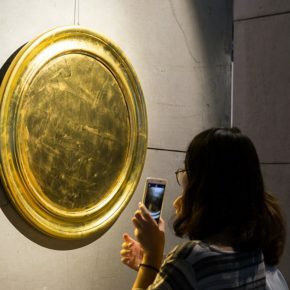 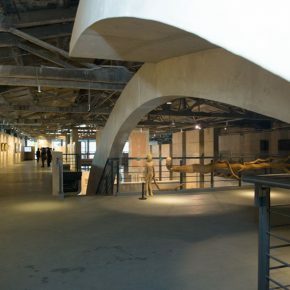 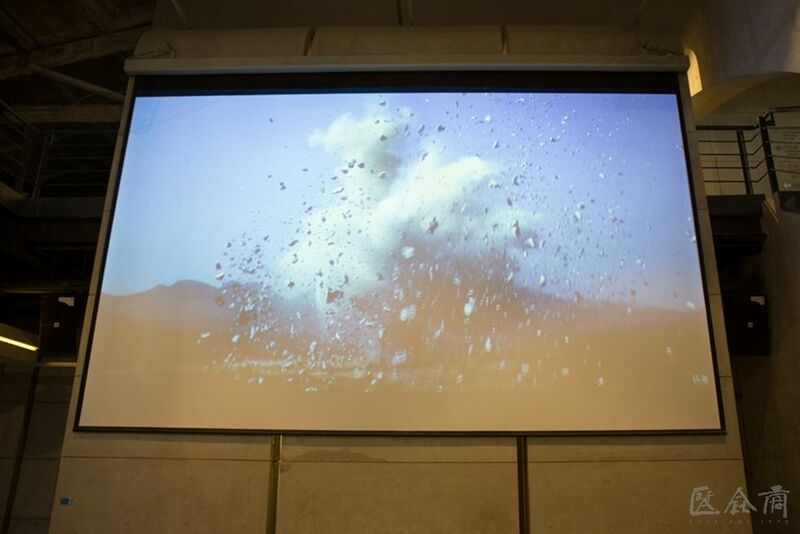 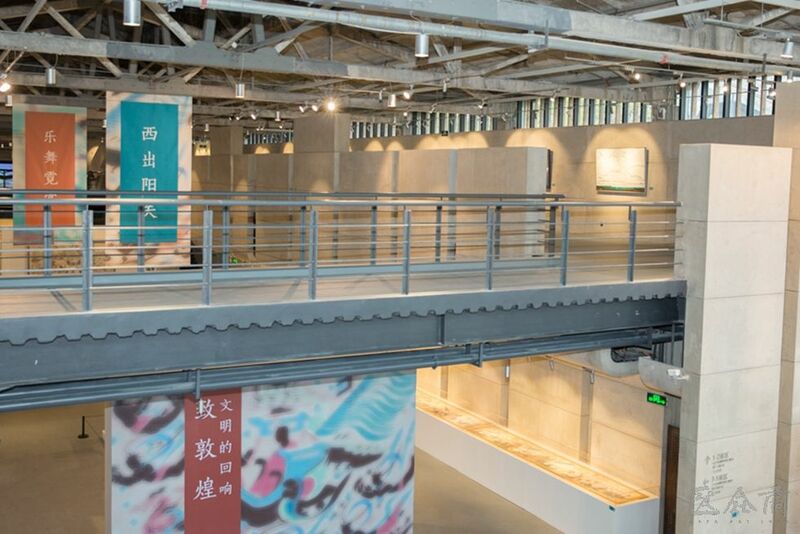 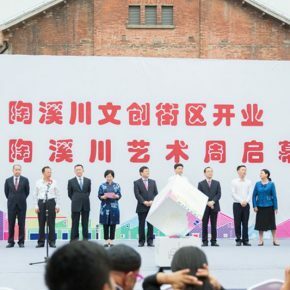 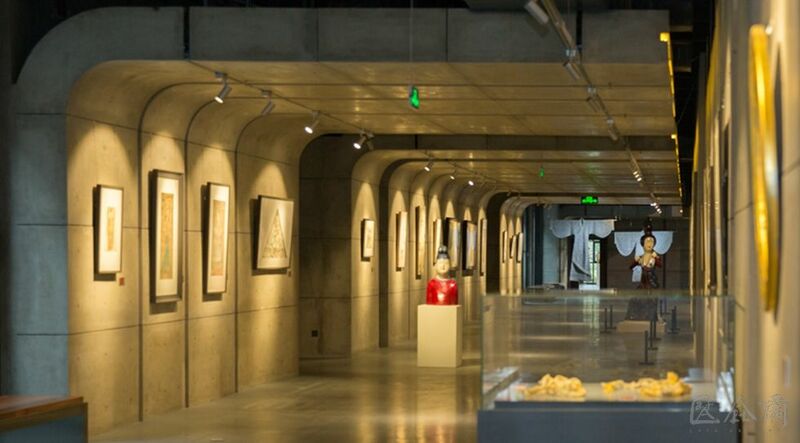 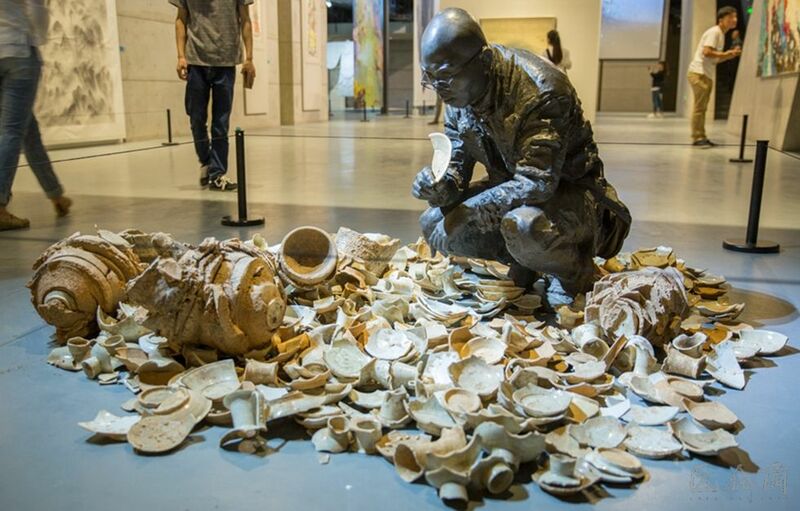 Seen from the park’s overall planning, construction and the opening speech by the leaders of Jiangxi Province and Jingdezhen City which showcased the ambition and determination, it seems that an international art park is rising in popularity. 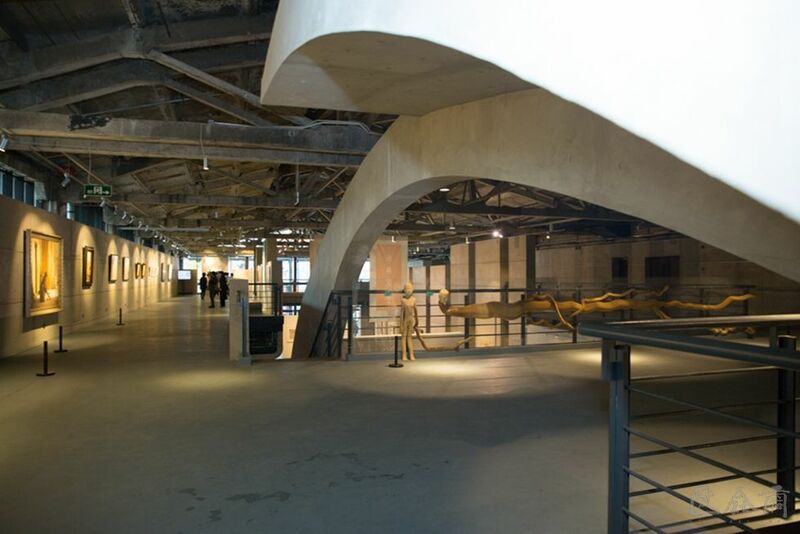 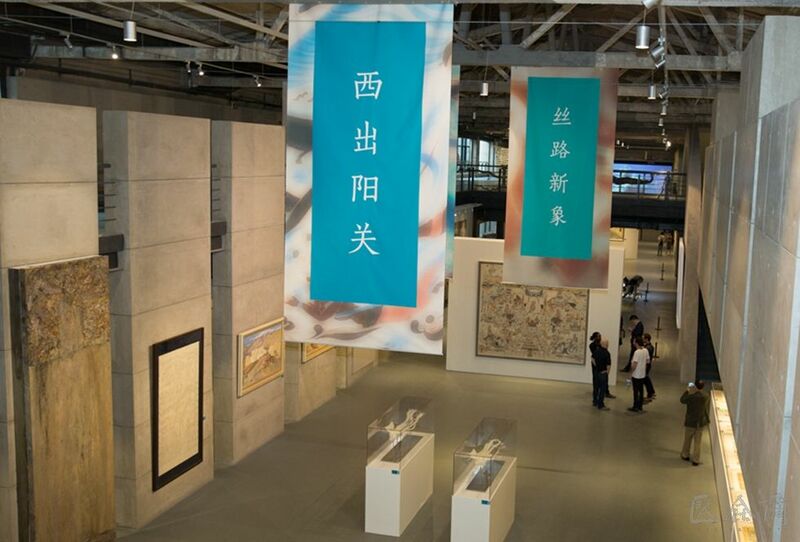 As a strategic partner, the Central Academy of Fine Arts (abbr. 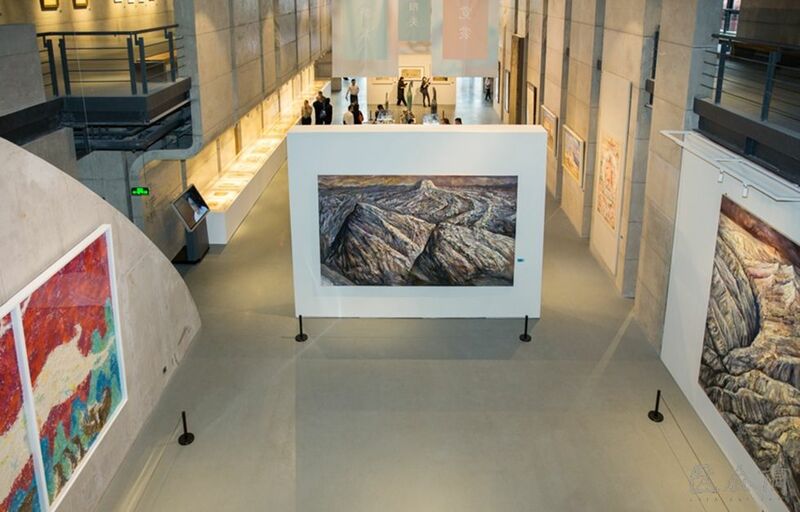 CAFA) launched the exhibition entitled “To Dunhuang – Echo of Civilization” at the Ceramic Art Museum, together with the other 11 art activities to constitute the overall framework of the art week, including the “Polyphony: Contemporary Chinese Cutting-Edge Sculpture Exhibition” which focuses on the new power of art, “Mark of the Times: Retrospective of the Top Ten Porcelain Factories in Jingdezhen” that reviews the history, and the “Nordic International Art Festival” with an international perspective, etc. 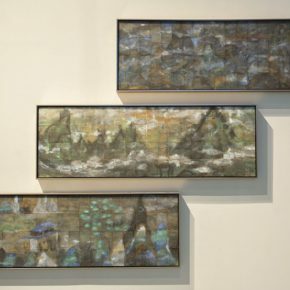 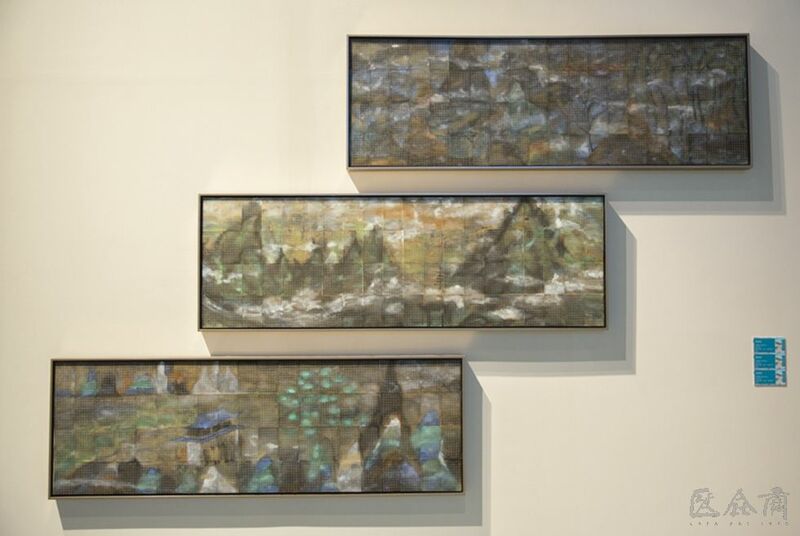 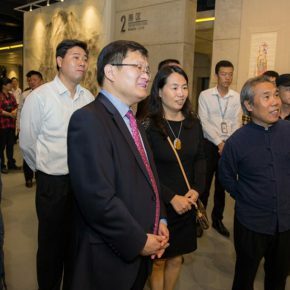 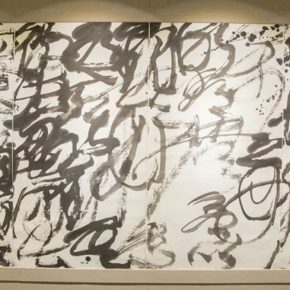 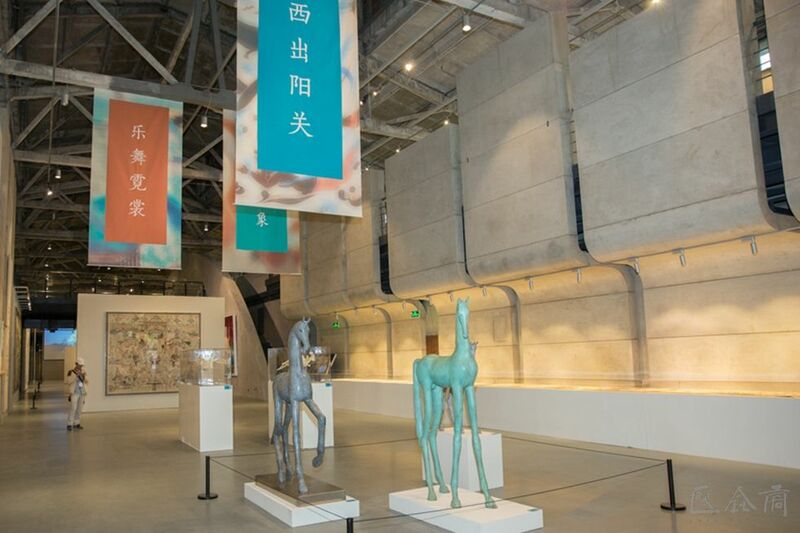 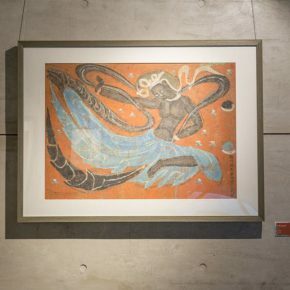 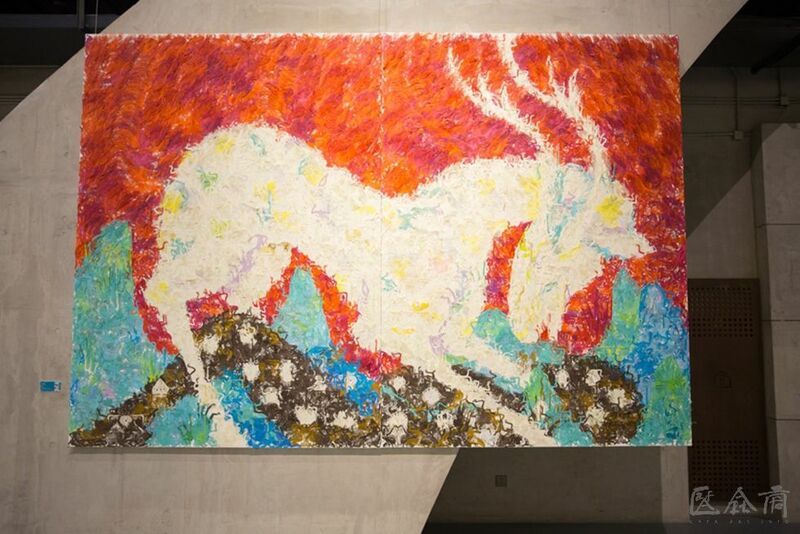 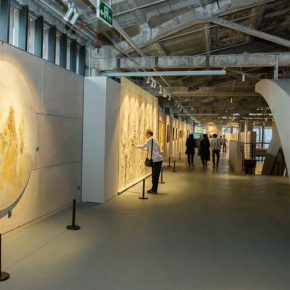 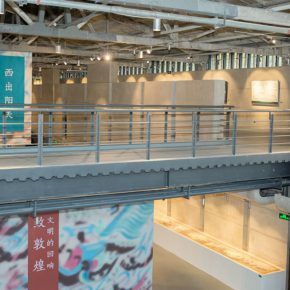 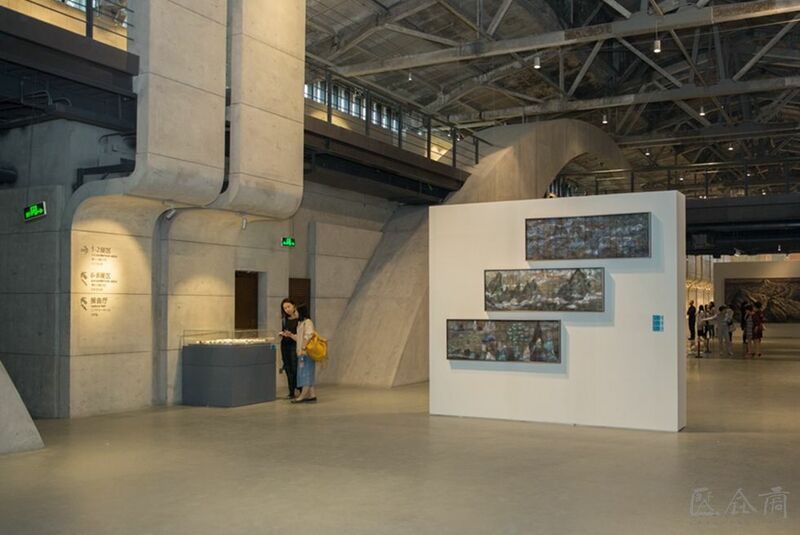 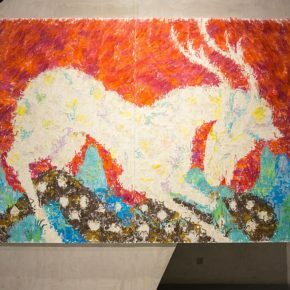 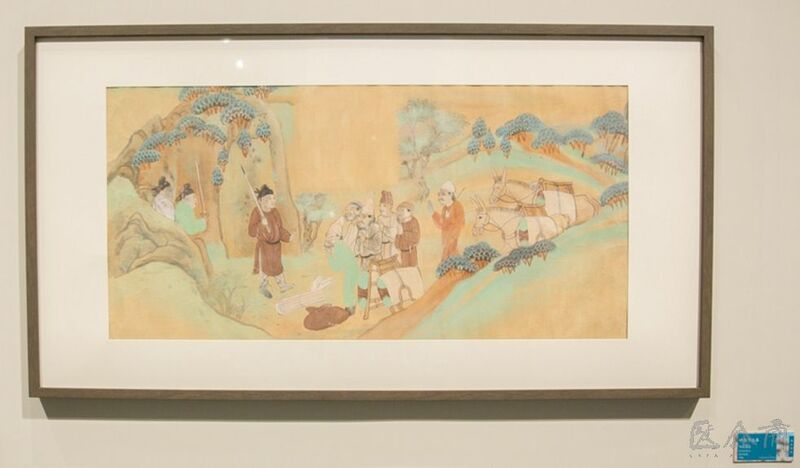 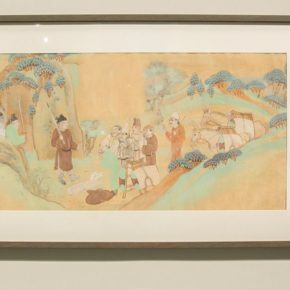 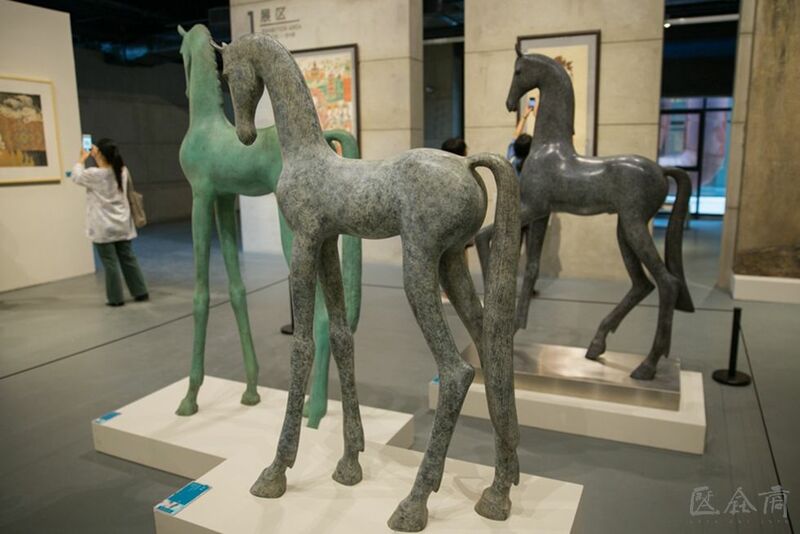 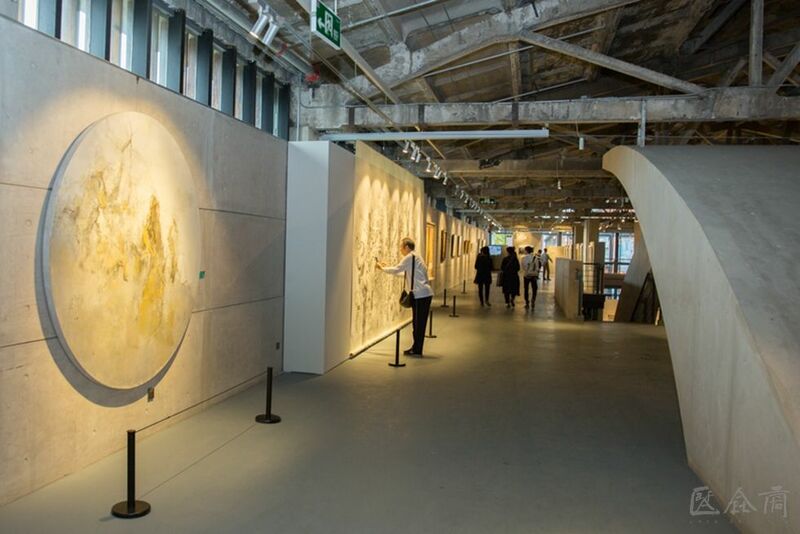 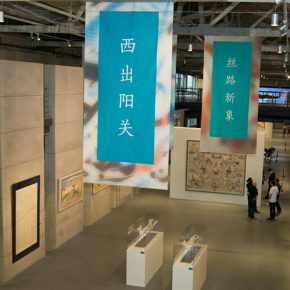 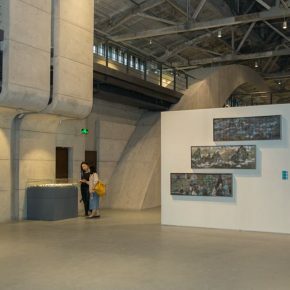 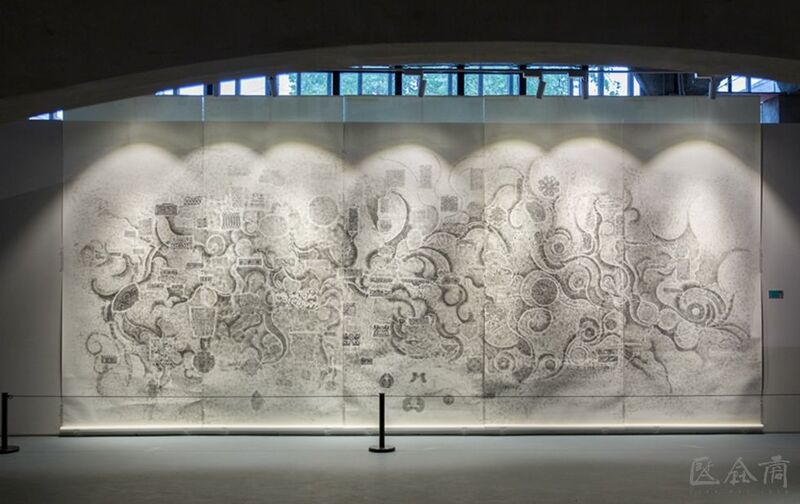 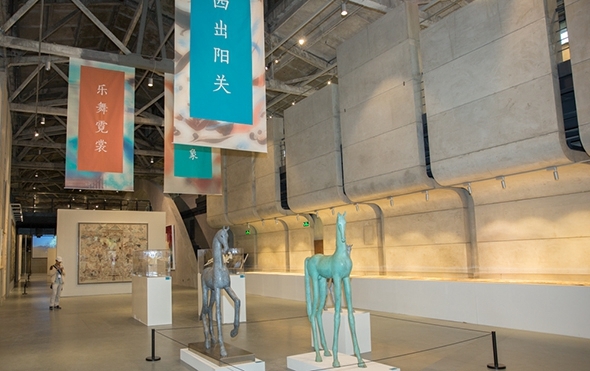 The exhibition is divided into three parts: the part “Headed West from Yangguan Pass” presents facsimiles of the ancient mural paintings, to reproduce the scenery of the ancient Silk Road; “Moon Dance” showcases the contemporary artists’ three-dimensional interpretation of the theme music from the caves from the different dimensions; “New Scene of the Silk Road” is through the artists a way to re-take the Silk Road, feeling the civilization of the Silk Road, depicting new images of the Silk Road, connecting Dunhuang’s tradition with the spirit, injecting a new concept in the ancient motif, which is also the emphasis of the exhibition. 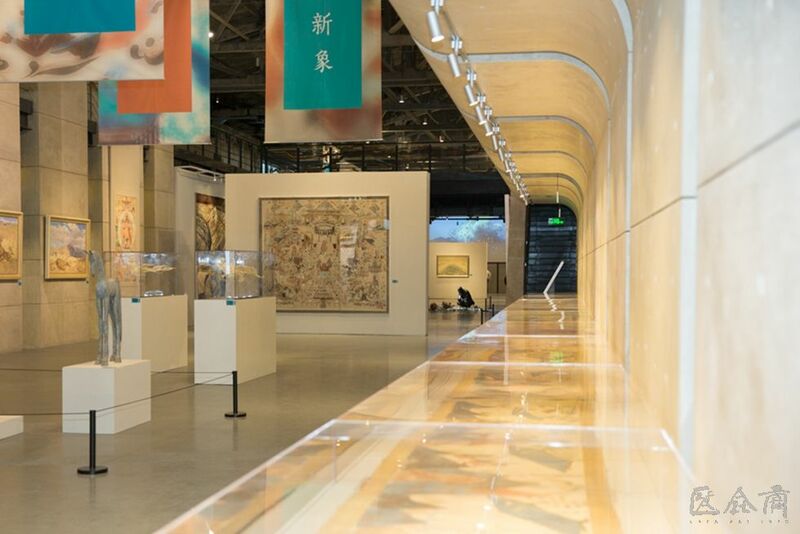 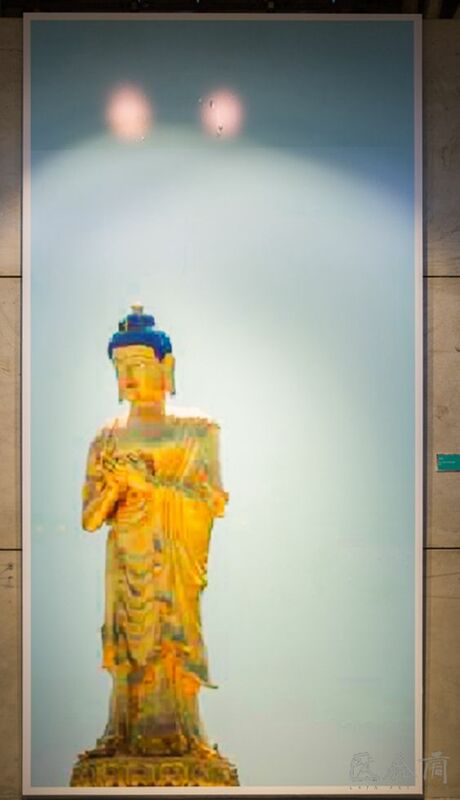 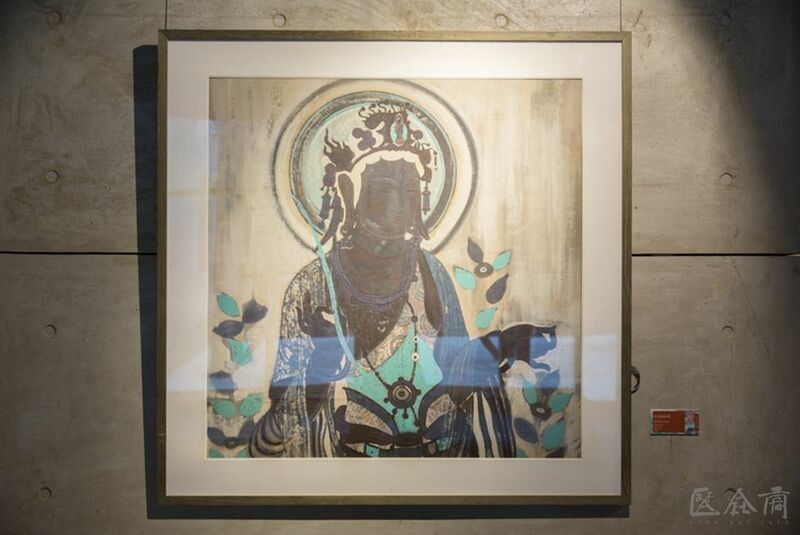 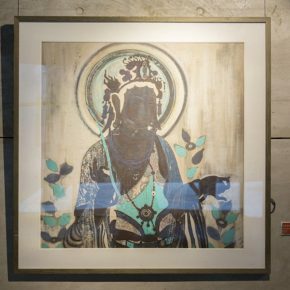 When we refer to “Dunhuang” now, we initially feel that it is a traditional Chinese cultural concept, existing ancient Chinese exquisite Buddha statues and murals, which are the essence of traditional Chinese art. 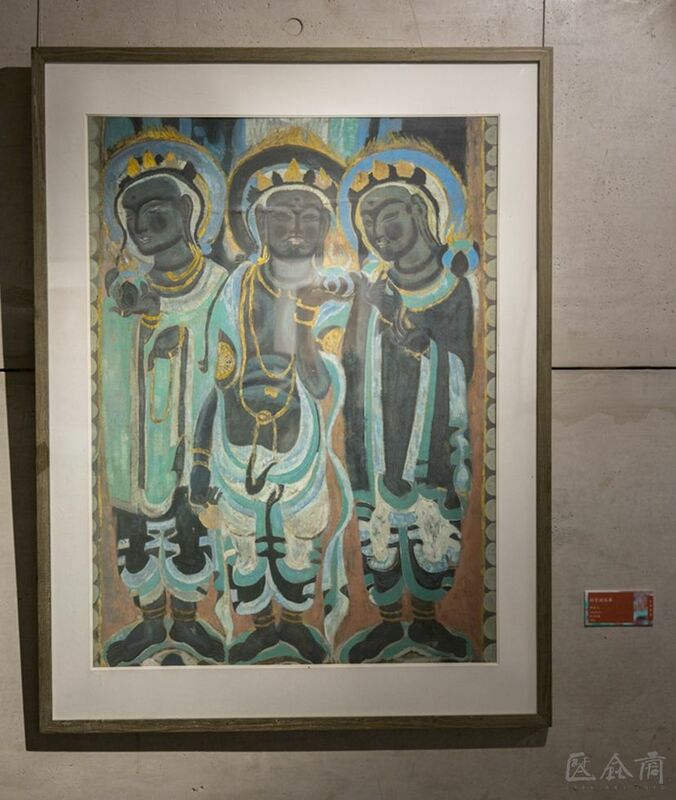 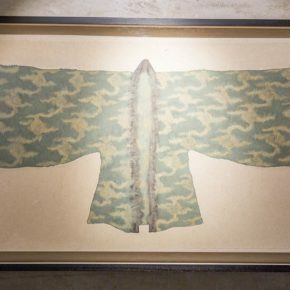 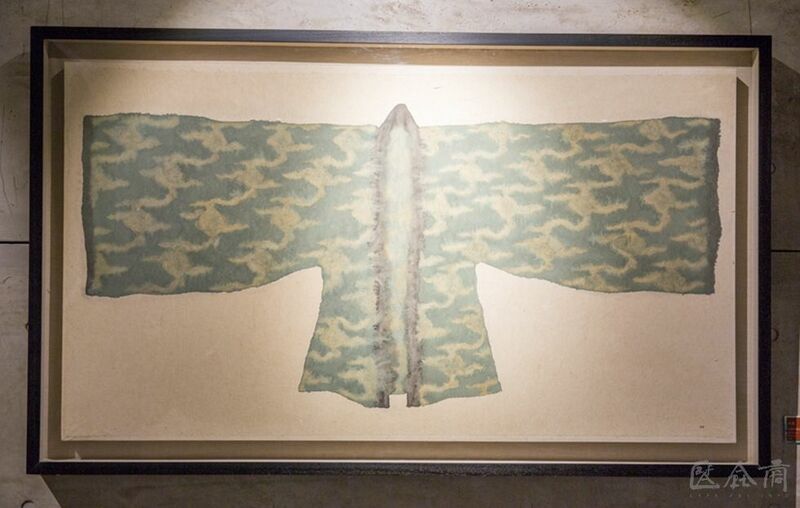 It is Dunhuang from the perspective of popular culture, but if we restore the historical context of the creation, in fact, the traditional Dunhuang art is not traditional and not born and brought up on native Chinese art. 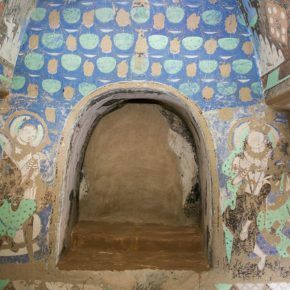 Dunhuang Grottoes were first built in the Before Qin Dynasty and there were no Buddha statues or mural drawings in any dynasty until the Song and Yuan Dynasties, which was a vast artistic program continuing for a millennium. 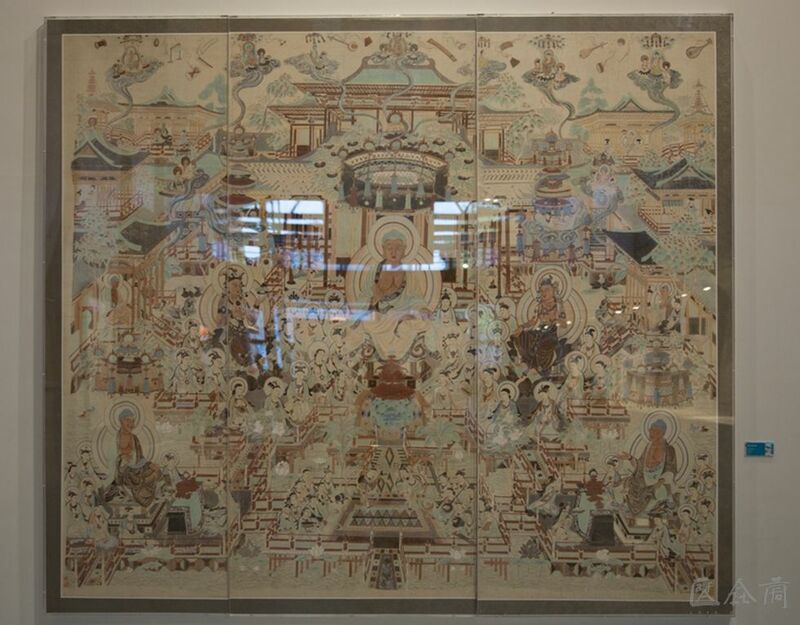 Dunhuang was located at the neck of the Silk Road, a truly international city, business travelers, messengers from all countries went to and fro in a constant stream, the Western Buddhist culture, Sogdian culture, Islamic culture, Arab culture came from the West along the Silk Road which integrated with the Central Plains culture in Dunhuang, where the Dunhuang art was born, it was bound to be a product that blended the culture with multiple attributes, applying a modern art vocabulary, Dunhuang was also the product of the “Eastward Spread of Western Culture”. 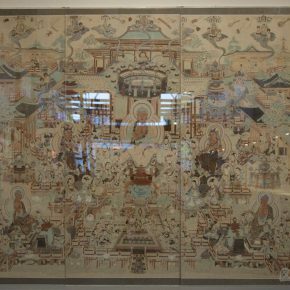 Before the Sui and Tang Dynasties, especially the Sixteen Kingdoms in the early days of Dunhuang, due to the relative political and cultural instability, the Dunhuang art was of more “Western” features, among which the Gandhara art was the most obvious. 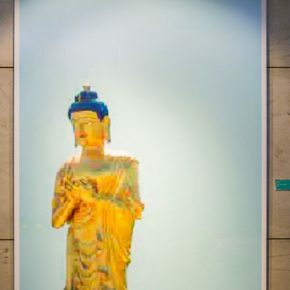 Gandhara art came from ancient northern India and it is a highly integrated art form, because Byzantine Alexander and Indian Ashoka had once occupied the area, so the art of Gandhara has a duality of Greek and Indian art. 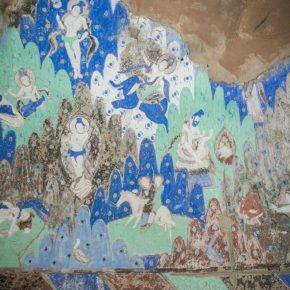 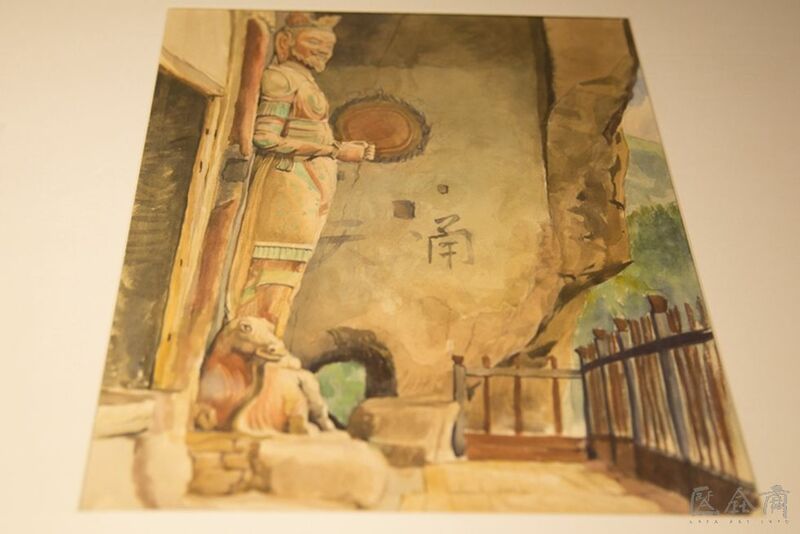 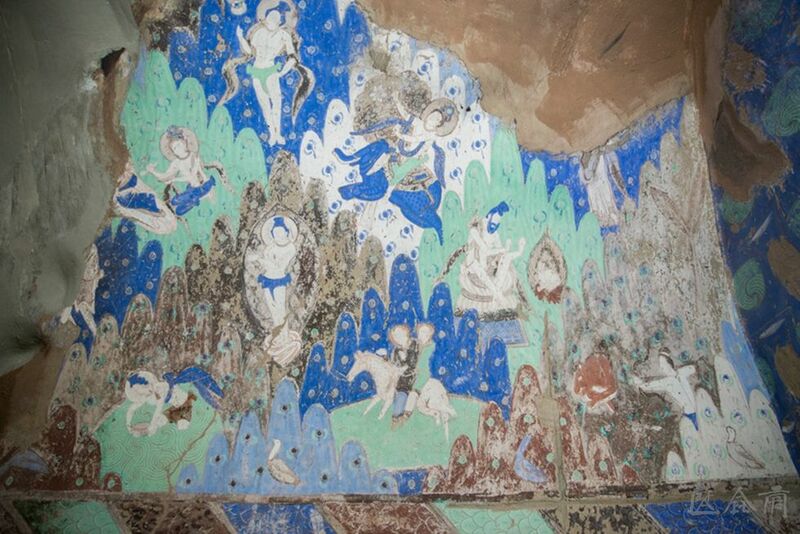 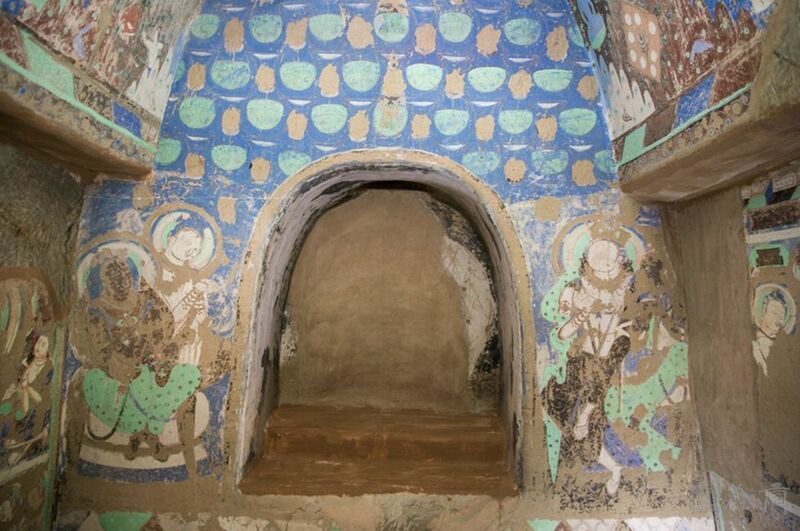 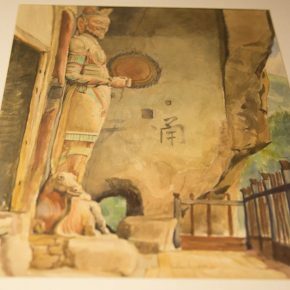 “To Dunhuang – Echo of Civilization” completely restores Cave 14 of the restored Kizil Grottoes so it is as large as the original one at the entrance to the exhibition, Kizil Grottoes also inherited the original flavor of Indian caves, together with Hellenistic Buddhist art traces. 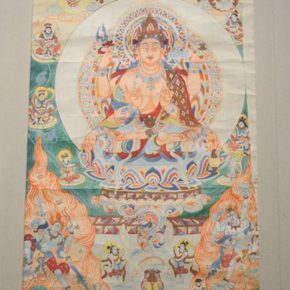 In particular, the performance of body art is exquisite, the tranquil and transcendent Buddha, graceful Gods of music, beautiful and elegant flying Apsaras, powerful and bold Diamonds are far beyond the cognition of the human body that appears in the Central Plains art. 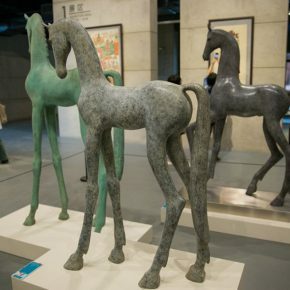 The drawing skill of concavo-convex shading, the method of knotted bar irons and coiled wires coiling also bring a new face to the creation of figure painting in the Central Plains. 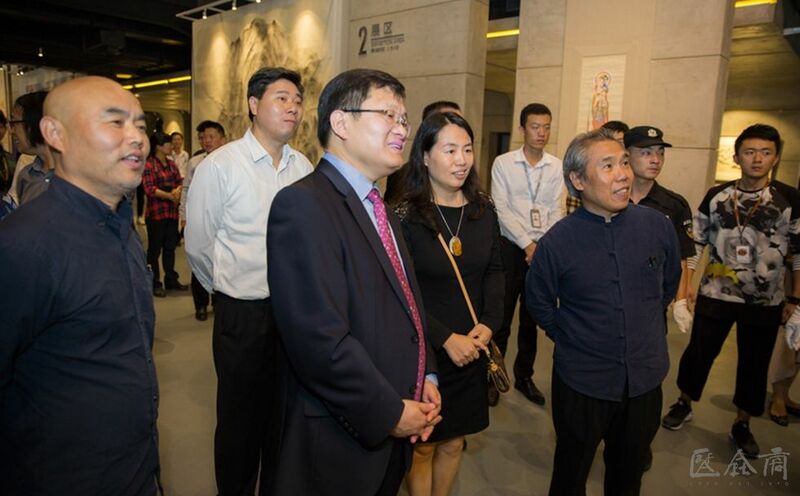 It is themed “To Dunhuang”, as this mainly started the creation of a contemporary interpretation of Dunhuang from a cultural perspective, this creative language is diverse, complex, covering ink, oil painting, sculpture, installation, photography, multimedia, design, etc., some creations were born out of traditional Chinese culture, while some borrowed the creative concept of Western modern art, and the exhibition also presents the art of “Dunhuang style”. 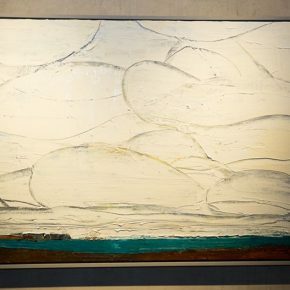 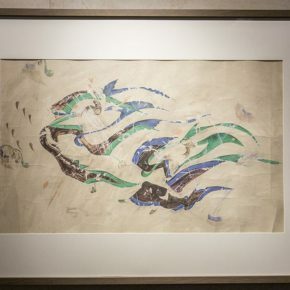 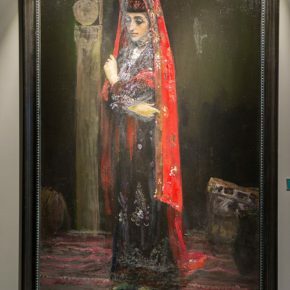 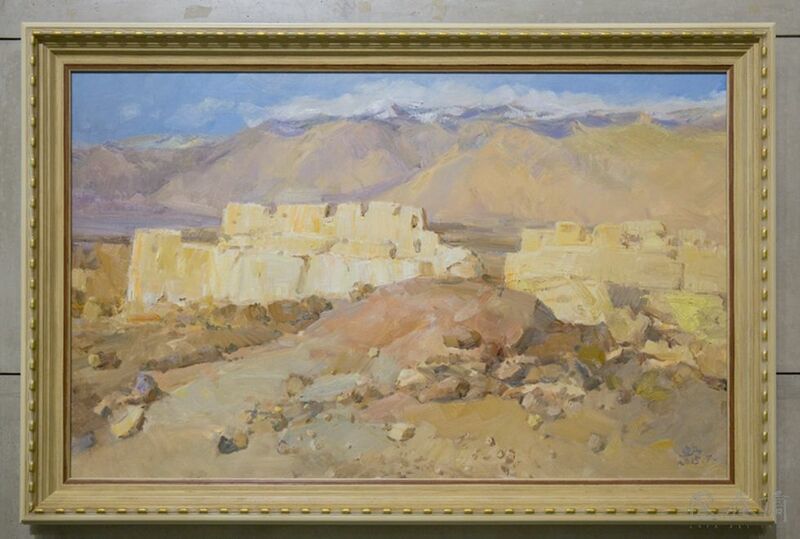 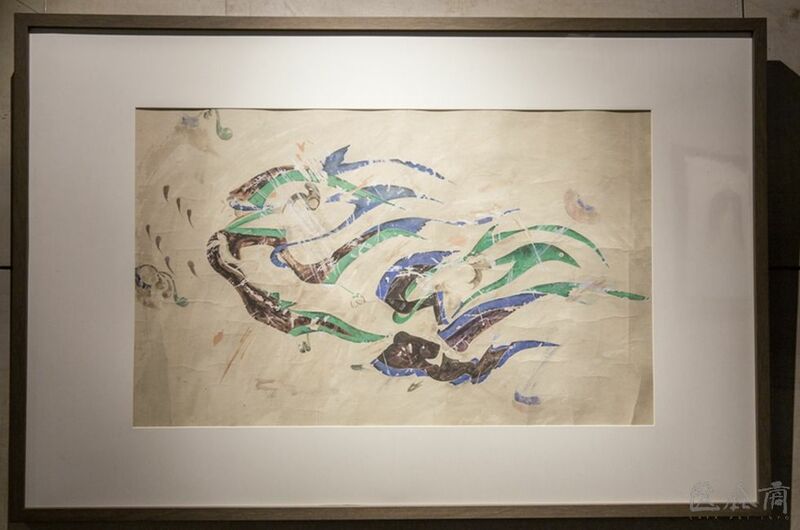 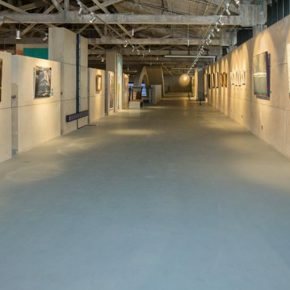 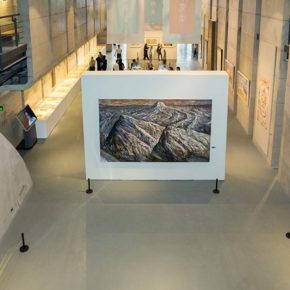 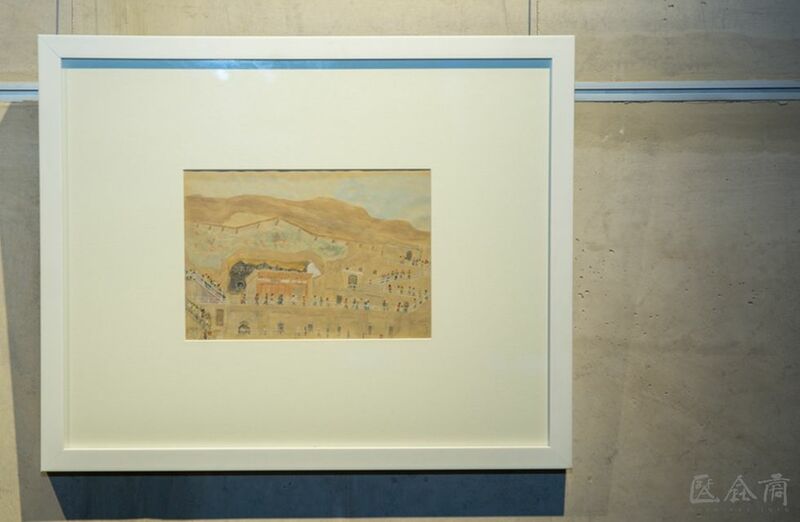 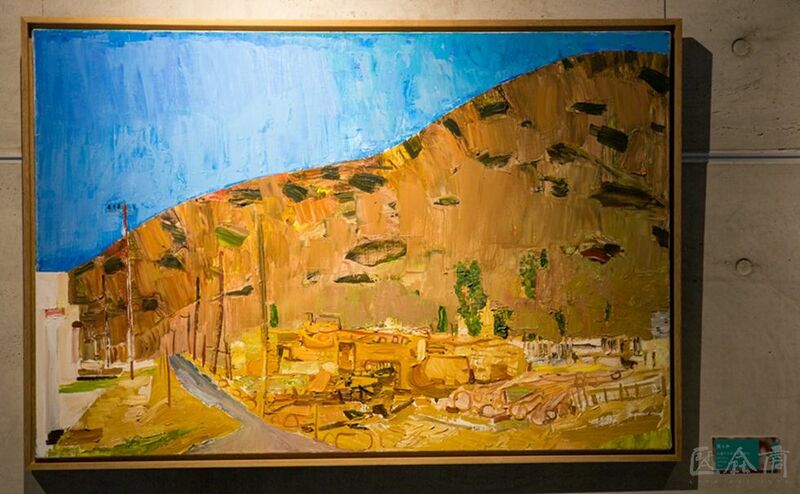 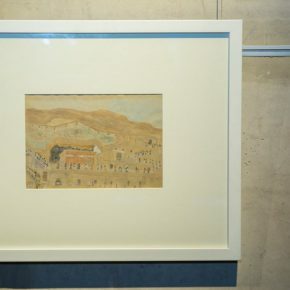 The creations by some artists, including Fan Di’an, Wang Shaojun, Zhang Lujiang, Wu Yi who used oil paint and watercolor to create the landscapes and humanities in the Dunhuang area; the artists including Yu Fan, Wang Chuan, Zhang Yanzi, Wu Jian’an, Peng Wei use the aesthetics spirit of Dunhuang art interpretated through their own style of creation. 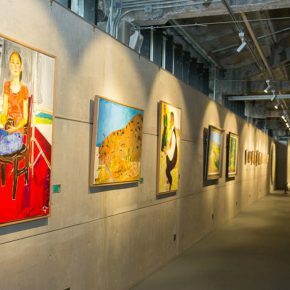 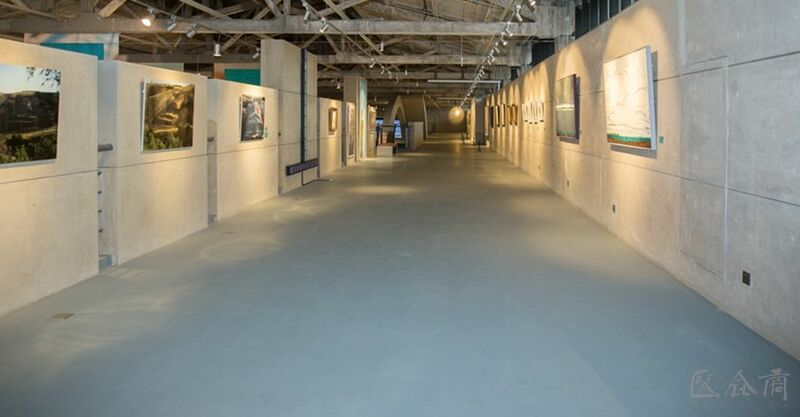 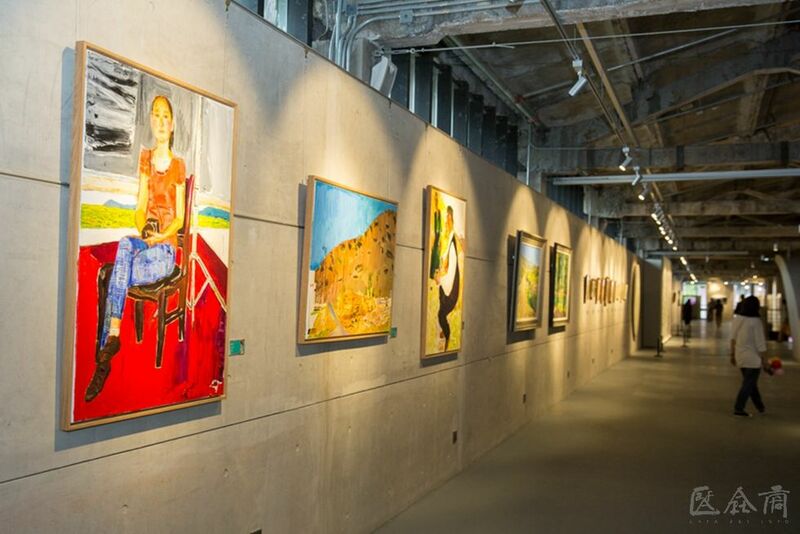 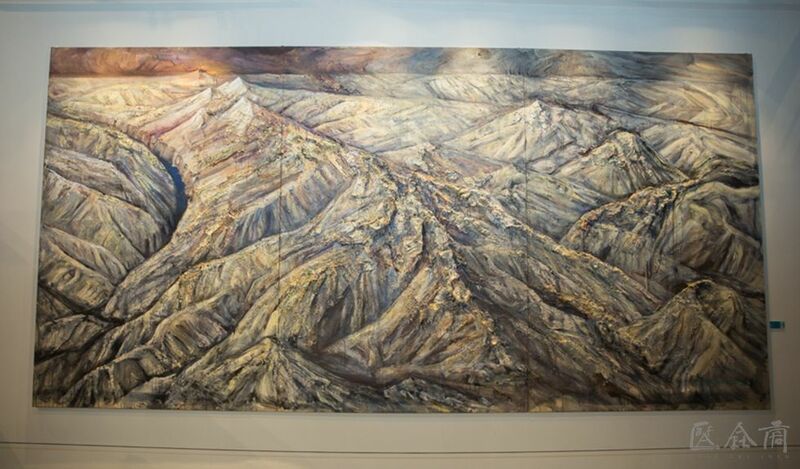 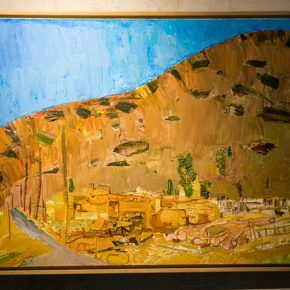 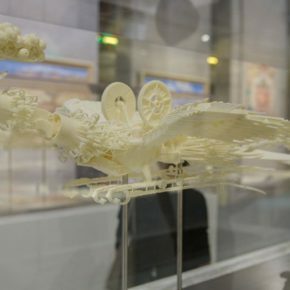 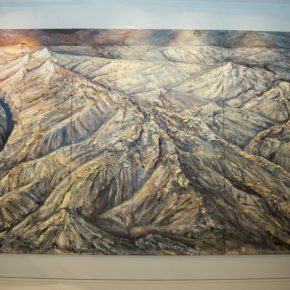 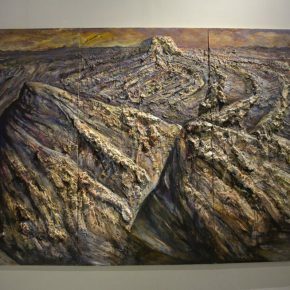 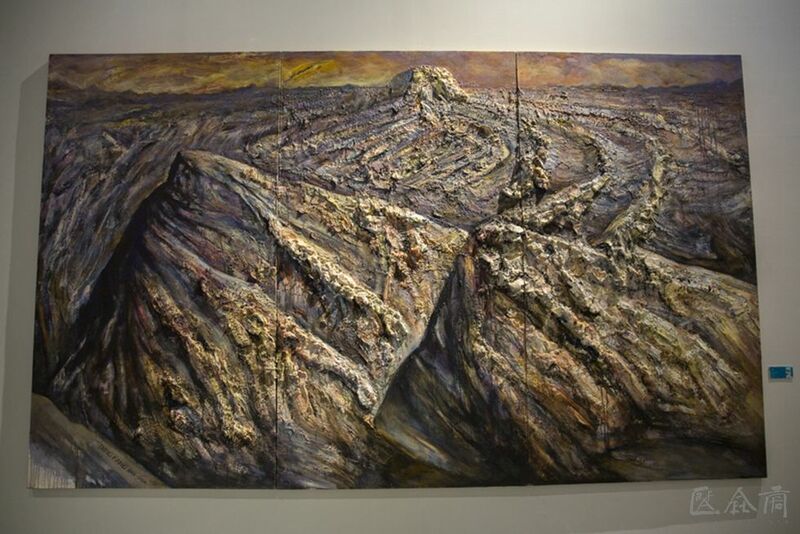 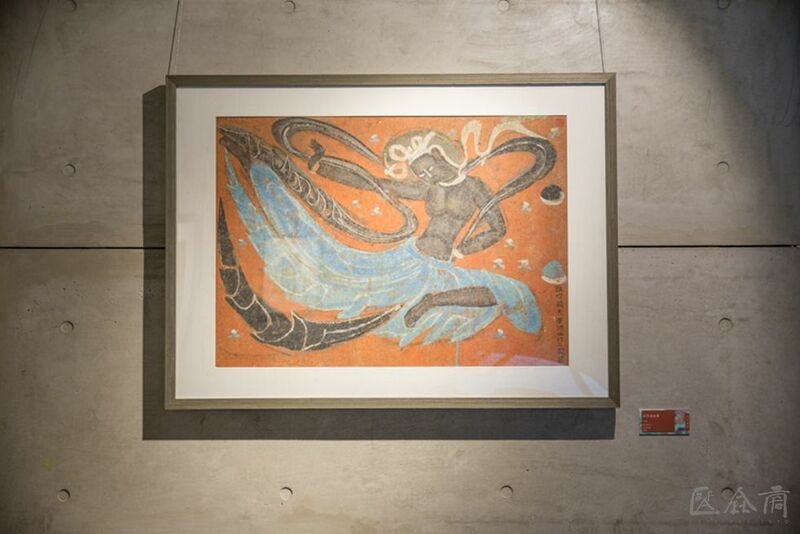 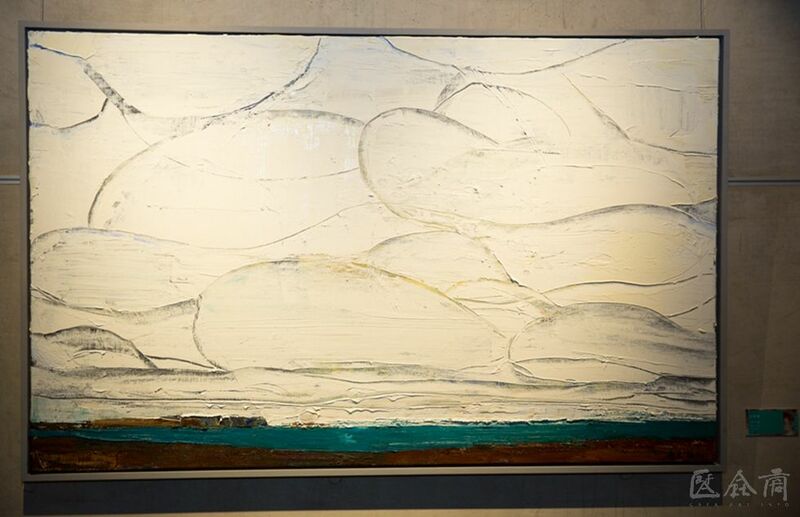 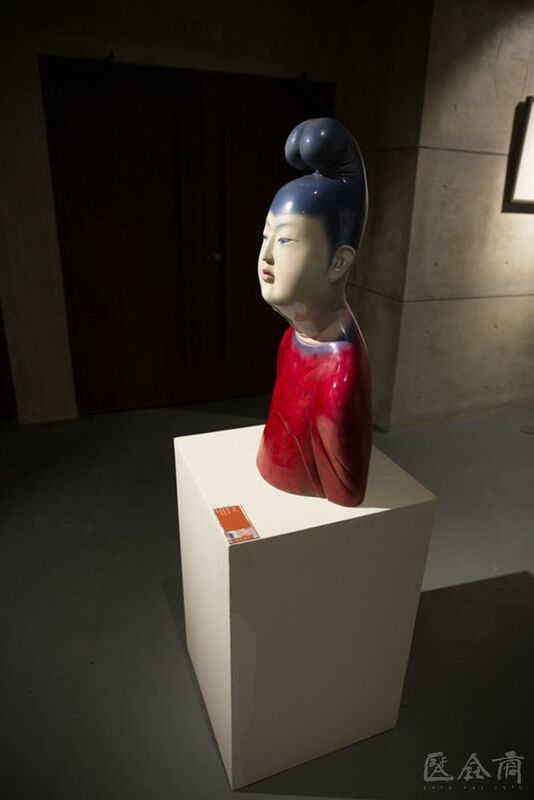 Beside the “To Dunhuang – Echo of Civilization”, it presents an international art exhibition entitled “Nordic International Art Festival”, so that China’s Dunhuang art and Western art form a vivid contemplation. 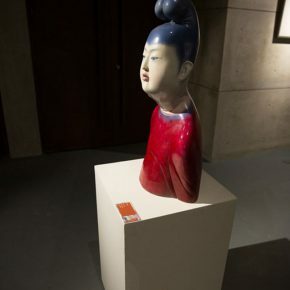 When I saw the works of the Nordic Art Exhibition, I found that many works also had Oriental elements, such as the performance of images written on ceramics. 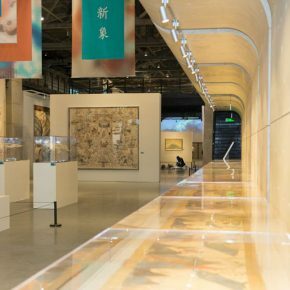 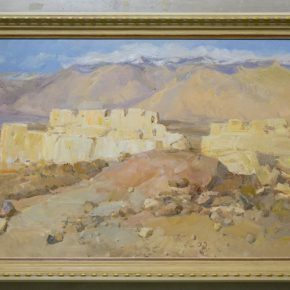 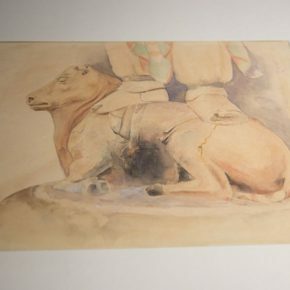 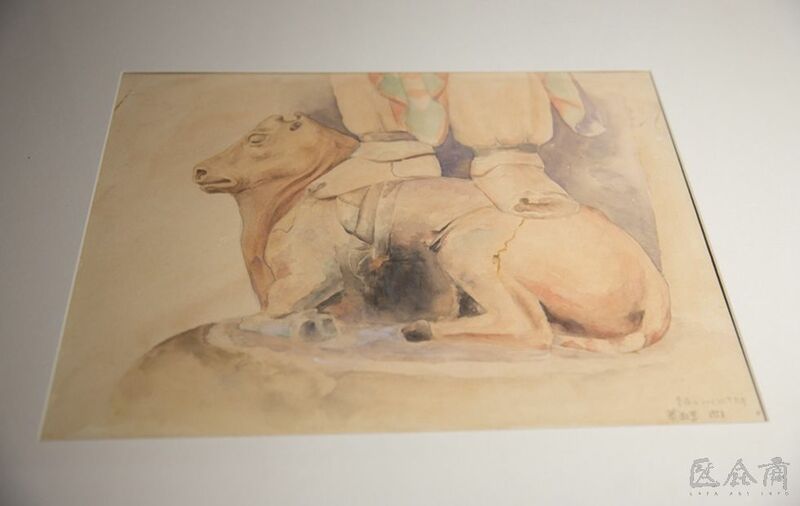 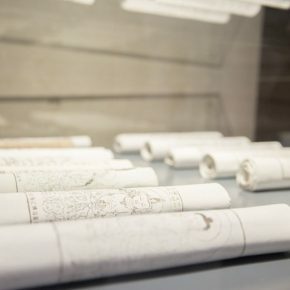 If we take “Dunhuang” as the creative context of art at that time, how similar the present artistic creation context is with it, at present we are in a similar cultural context to “Dunhuang”. 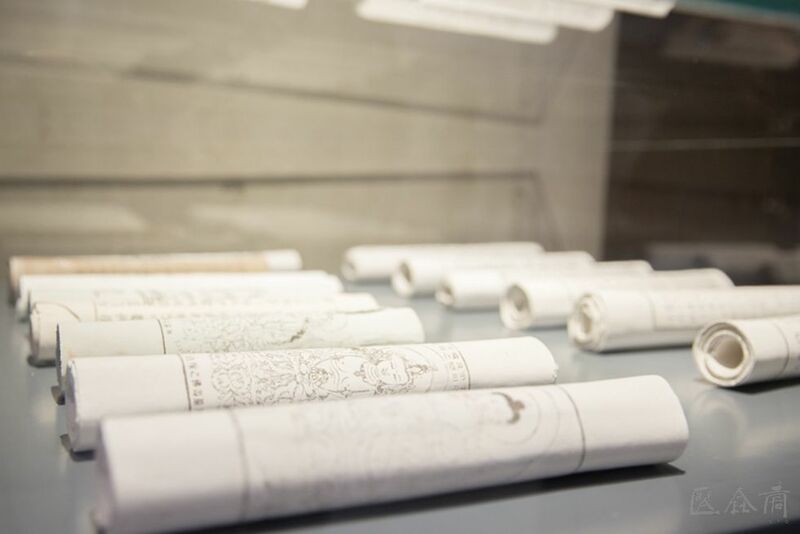 We have the heritage of our own creative context, and also the impact of external methods and ideas. 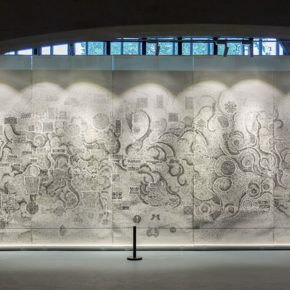 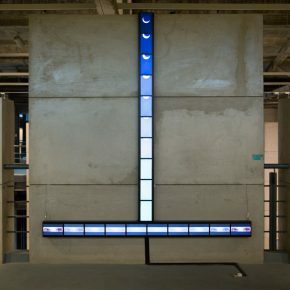 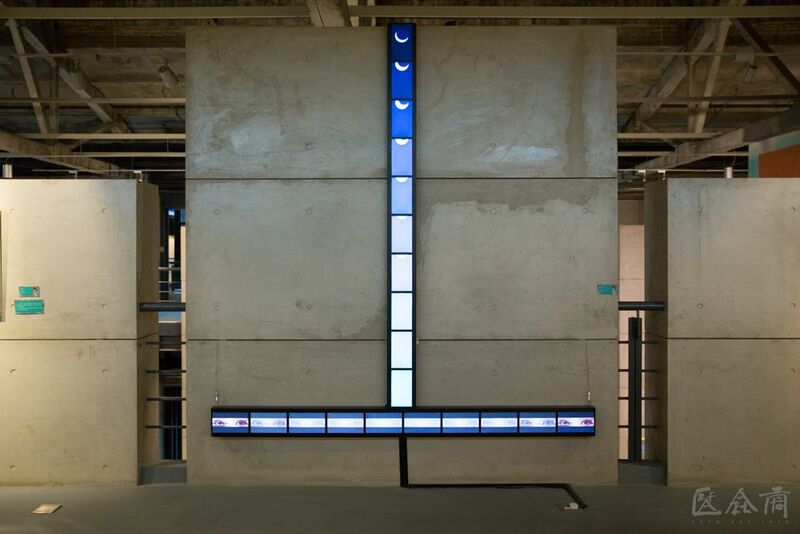 Faced with this diverse and complex cultural environment, the circles of artists and theorists have always been of a variety of different voices and ideas. 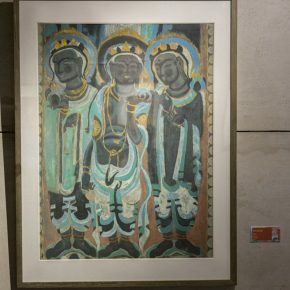 Dunhuang art started from the fusion of diversified art forms at the beginning, gradually evolving into the traditional Chinese art which became the most important cultural specimens for the international study of Chinese art, which might also offer a new perspective on the thoughts of the present creations.